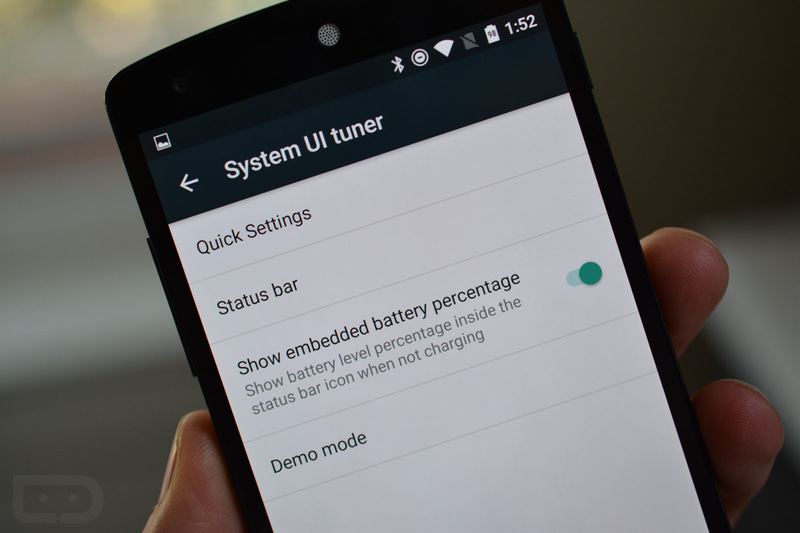 Remember the System UI Tuner that showed up in the original Android M Preview? You know, the hidden developer option that would allow you to tweak the settings toggles in the notification shade? 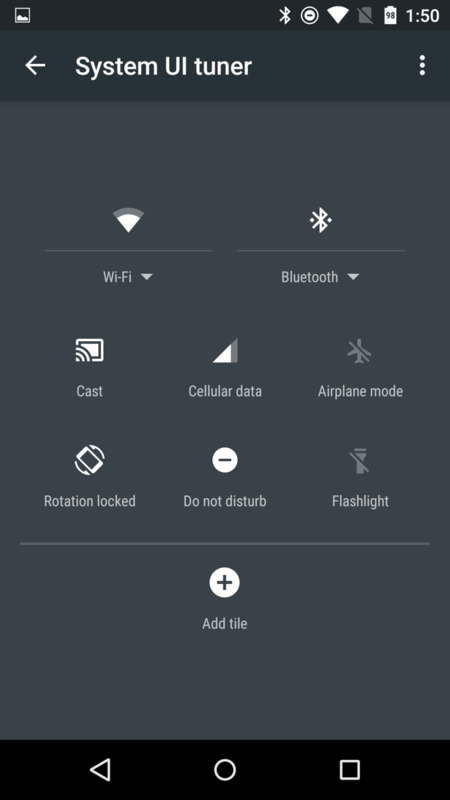 It’s back in the Android M Preview 2, only more powerful than ever. 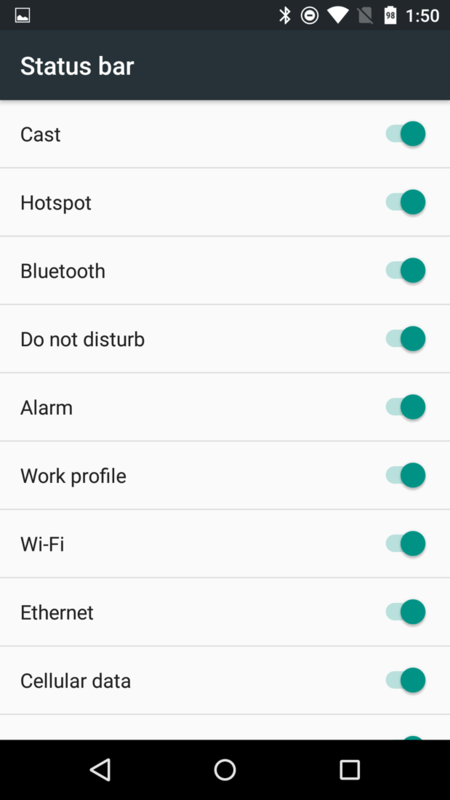 First off, in order to change these settings, you need to enable the System UI Tuner, which can be done by heading into Developer options and then toggling on “Show SystemUI Tuner.” Once there, back out to the main settings menu and you should see the System UI tuner situated below “About phone.” Ready? So, we still have the quick settings options where you can drag and drop, rearrange, add/remove tiles. It seems to be a bit more stable this time around as well, so feel free to tweak away. Where this gets really cool, is in the “Status bar” section. This area allows you to hide or show all of the icons that may show up in your status bar, from WiFi icons to do not disturb and alarm icons to the cellular data signal icon. Seriously, that annoying Bluetooth icon that you wish would go away even though you have Bluetooth enabled, can be turned off! How awesome is that? 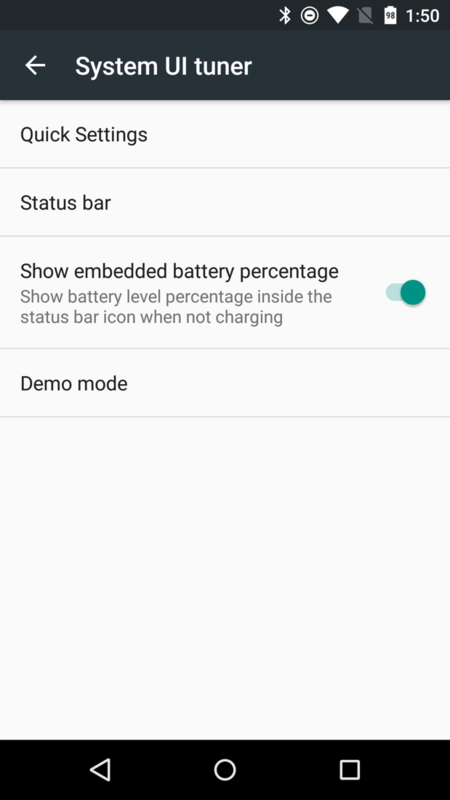 Finally, we now have the option to show an embedded battery percentage in the battery icon when the phone isn’t charging. That means that you no longer have to swipe down the notification shade twice to see the battery percentage of your phone. There is another setting for “Demo mode,” but after enabling it, I couldn’t tell you what it does.